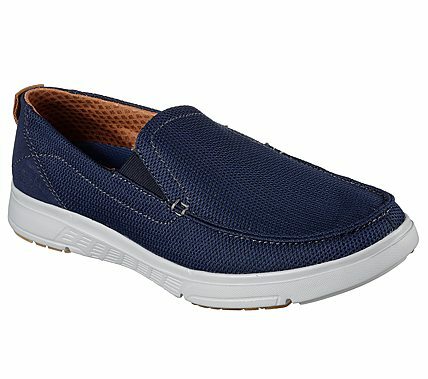 Make your casual style light, comfortable and super breezy with the SKECHERS Moogen - Seldon shoe. Soft knit mesh fabric and soft faux-suede fabric upper in a slip on sporty casual sneaker with knit-in design accents. Air Cooled Memory Foam insole.